At Panther Healthcare professional education is our commitment. Bariatric surgery is a weight loss surgery and a treatment procedure for obesity. There are various types of gastric procedures such as adjustable gastric band, Roux-en-Y Gastric Bypass, Mini Gastric Bypass, Vertical Sleeve Gastrectomy and Biliopancreatic Diversion with a Duodenal Switch (BPD-DS). As per the World Health Organization (WHO), in 2016, more than 1.9 billion adults were overweight out of which 650 million were obese. At Panther we understand the importance of Bariatric surgery and the benefits of doing the surgical procedures in a minimally invasive way, and for this reason we hold several bariatric master classes around the world. 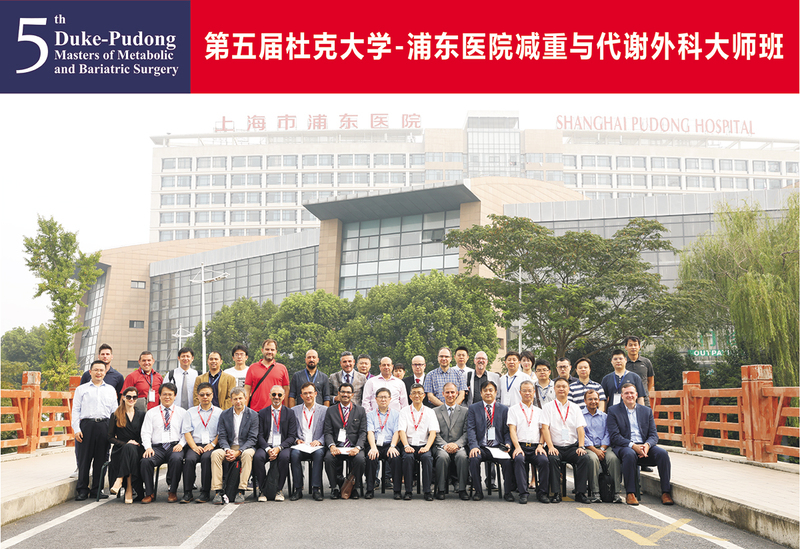 The Duke-Pudong Masters of Metabolic and Bariatric surgery at Shanghai Pudong Hospital- Panther Surgery and Innovation Center is a 2 days course including Live surgery, Lectures, Topic discussions and Hands on workshop. This course is arranged in cooperation with experts from Duke University, USA. The Master class in Bariatric surgery by Professor Giusto Pignata in Italy is a one-day course with 2-4 live surgeries + discussions. The Master class in Bariatric surgery lead by Professor Catalin Coapescu in Bucharest, Romania at the Center of Excellence in Regina Maria Ponderas Academic Hospital is a one-day course with 5-6 live surgeries + discussions. The Clinical Immersion program on Safety in Braiatric Surgery by Dr. Marcos Leao at Hospital Santo Amaro Bahia, Brazil is a 3 days course involving up to 20 surgeries, lectures, theories and topic discussions. We do 4 courses for Brazilian surgeons a year and one for International surgeons. Dr. Marcos Leao is the course coordinator and elected president of the Brazilian society of bariatric and metabolic surgery (Sbcbm) for biennium 2019-2020. The course is a realization of Panther Healthcare, with support and promotion of the baros clinic, the Brazilian society of Bariatric Surgery (Sbcbm) and the JoséSilveira Foundation. Any time there is a course the Brazilian Society of Bariatric Surgery will send the leaflet of the same to around 1000 surgeons. These courses have already show up in the Brazilian newspaper ATarde and in an interview to Dr. Marcos leao by TV Bandeirantes (Number 2 TV in Brazil).